Computer-aided systems are helping researchers to create genetic circuits to order. Your smartphone and laptop are made of electronic circuits. Genetic circuits, modelled on the electronic ones, are human-designed combinations of genetic components that interact to produce one or more proteins or RNA molecules, for example, in response to a given stimulus, such as a toxin. Under the right conditions, the circuit might be triggered to make “protein A, which then interacts with protein B to give outcome C”, says David Riglar, a synthetic biologist at Harvard Medical School in Boston, Massachusetts. But until a decade or so ago, these two kinds of circuits were made in very different ways. Electronics engineers design circuits using automated computer-aided design (CAD) tools. Genetic engineers, by contrast, have had to design biological circuits manually, and one at a time — a laborious, iterative and error-prone process. Computerized genetic-design tools are changing that. They automate the process by which researchers design complex genetic circuits that can program cells — especially bacteria and yeast — to carry out specific actions, such as activating a particular enzyme or churning out a certain protein. Synthetic biologists have used single-celled organisms in this way to produce drugs, biological sensors that include cells or antibodies, enzymes for use in industry, and more. 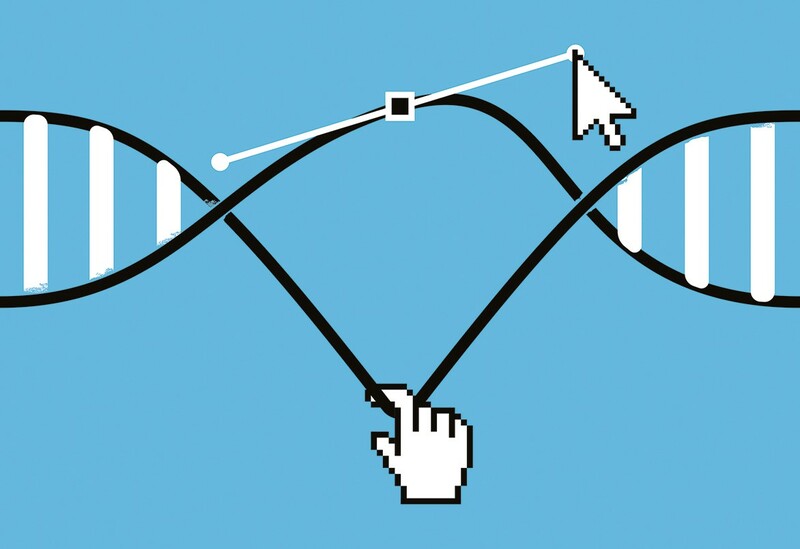 According to Douglas Densmore, who heads the Cross-Disciplinary Integration of Design Automation Research lab at Boston University, such tools represent a fundamental shift in how genetic circuits are designed. Previously, he explains, genetic-circuit design was mostly a bespoke process. As a result, designs were difficult to share, improve and scale up. “It is not realistic to build an industry on artisanal approaches,” he says. Although these “are great for early-stage research”, they ultimately can’t be transferred to a large scale. That’s where automation comes in. “Automation will begin the process of getting designs out of notebooks and into software,” he says. A growing collection of circuit-design tools suggests that the field agrees. Yet software development for synthetic biology is in flux. One tool, Genetic Constructor, was abruptly terminated by its parent company, CAD software developer Autodesk Research in San Rafael, California, in August. But researchers working in single-celled organisms still have access to some open-source or freely available tools, including Cello, j5 and another called iBioSim. They can use these tools to weave circuits into whole genomes or to design thousands of variants to examine different combinations of genes, enzymes or protein domains. “CAD tools are absolutely required for the design of biological systems,” says Andrew Hessel, a genomic futurist and chief executive of Humane Genomic in San Francisco, California. Densmore, who developed Cello, has a background in electronic design automation — and it shows. Researchers can direct Cello to design a genetic circuit that meets certain specifications without having to tell the software anything about how to actually build it, just like with electronic-design tools. Users instruct the software — available both as source code and as a web application — using Verilog, the same computer language that electronics engineers use to describe their silicon circuits. “You specify the function you want, not the way it is created,” Densmore explains. For instance, users could ask Cello to design a genetic circuit that produces a protein when it senses the presence of two particular antibodies. The software would then work out which components must be put together to make that happen, and output the nucleic-acid sequences required to physically build it. Cello also predicts how well its circuits are likely to perform. Densmore designed Cello in collaboration with the lab of synthetic biologist Christopher Voigt at the Massachusetts Institute of Technology in Cambridge, for use in the bacterium Escherichia coli. Now, they are jointly expanding the tool to work in yeast, he says. Densmore and Voigt are using Cello to design circuits that produce a small signalling molecule in response to the presence of two other molecules, and are working on circuits with memory that function in different ways depending on the order in which they sense the targets, says Densmore. Unlike Cello, other automated tools including iBioSim, j5 and GenoCAD do not spit out predictions for how well genetic circuits will perform or whether they’re correct. And they all require the user to know and input information about how the circuit will be structured. Created by the Joint BioEnergy Institute in Emeryville, California, and licensed exclusively to TeselaGen in San Francisco, j5 allows researchers to design genetic circuits by dragging and dropping genetic control elements onto a canvas. “You lay down a series of symbols that say, ‘I want a promoter here, I want a ribosome binding site,’” says Densmore. Users can select multiple components that they might want to test in a particular location, for instance to work out which combination produces the most robust output. “Then you use rules to say, ‘Don’t put part A with part B, but part C has to be after part D’, and then it enumerates all the different combinations,” says Densmore. Researchers at non-profit universities and institutes can use the software through a free TeselaGen account; the firm also offers commercial accounts. No special skills are required to use automated DNA-design tools, but because they do call for detailed specification of elements, familiarity with computer programming helps. “I don’t think the learning curve is too steep right now, even in the more sophisticated tools,” says Hessel. “None of these tools are so sophisticated that they couldn’t be learned in a few days.” The hard part, Hessel says, is building and testing the resulting circuits. Peccoud says he can teach even molecular biologists who have no computer-science background to use GenoCAD in just a few hours. For those who need help, the greater synthetic-biology community is probably the best place to start. “Researchers in this field are generally accessible and helpful,” says Drew Tack, a microbial engineer who works with Strychalski at NIST. “I would encourage someone just starting to reach out for advice and take full advantage of the considerable online resources” such as the GitHub code repository, he says. The use of genetic circuit-design tools is increasing among synthetic biologists, says Strychalski, albeit slowly. Groban says that the problem is one of economics. “In the academic community, there’s this hesitation to pay for software. No one really does that cost–benefit analysis” that it might be cheaper to spend even tens of thousands of dollars on paid software than to get graduate students to spend significant amounts of time building their own version, or designing circuits in the old-fashioned way. Right now, “most biologists don’t work at scale”, says Hessel, but that could be changing. He tells students that in their careers, they will operate on a vastly larger scale than their current lab work, managing liquid-handling robots and testing much bigger data sets of genetic variants. Automated genetic-design tools might well be required to make that happen.